Monaco’s French head coach Thierry Henry is pictured before the French L1 football match AS Monaco FC vs Dijon FCO at the Louis II Stadium in Monaco on October 27, 2018. 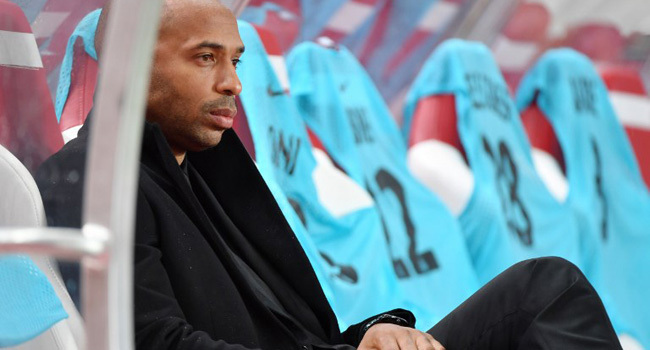 A Ligue 1 clash between Thierry Henry’s Monaco and local rivals Nice has been postponed, the French league (LFP) said Thursday, amid fears of more violent “yellow vest” protests in France over rising living costs. The announcement comes after Paris Saint-Germain’s game against Montpellier and Lyon’s trip to Toulouse — scheduled for Saturday — were both postponed due to security concerns.